At Cooper, we receive many different types of service calls from within Middlesex County New Jersey. We can resolve any pest problem within Middlesex County quickly. 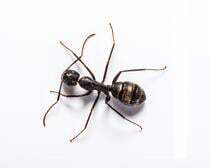 We provide FREE No-Obligation Estimates for all of our services and our mouse, small nuisance ant, carpenter ant, carpenter bee and stinging insect services are available for convenient online purchase. Mosquitoes – At Cooper we offer Middlesex County residents a guaranteed mosquito bite-free yard. This means that Cooper Pest Solutions will give Mercer County residents back their yards for a fixed seasonal price all summer. At Cooper, we realize that mosquitoes are a real annoyance and residents really want to enjoy their backyards without fear of being eaten alive. Contact Cooper for details about our Mosquito Free Program. If you have a recurring pest problem or more than one pest causing problems at your Middlesex County home, you may want to consider one of our home protection plans. Our Traditional and Intensive Service plans protect your home while keeping your family safe from intruding pests year round. If you have a pest problem in Middlesex County, please give us a call at today.